Unfortunately the dress I'm wearing is from last year. and is discontinued It's by ModCloth and it was called It's an Inspired Taste Dress in birds (it also came in vegetables and in the solid color sage). 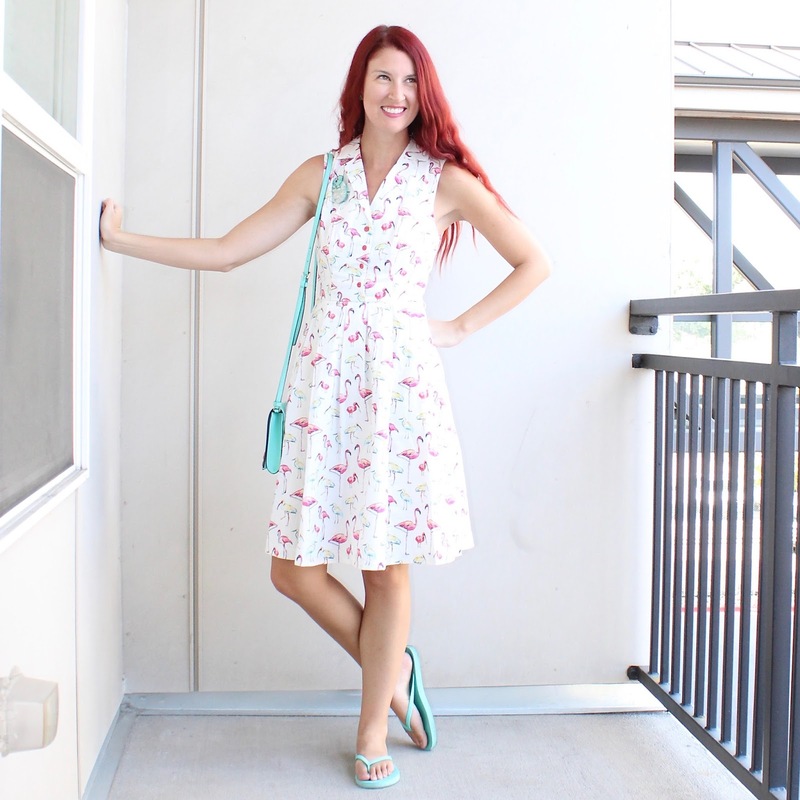 ModCloth tends to re-release a bunch of cuts/styles in different prints seasonally or yearly and I was really hoping this one would make the rounds again this past summer or into this fall. Maybe it eventually will, but so far there's no sign of it. 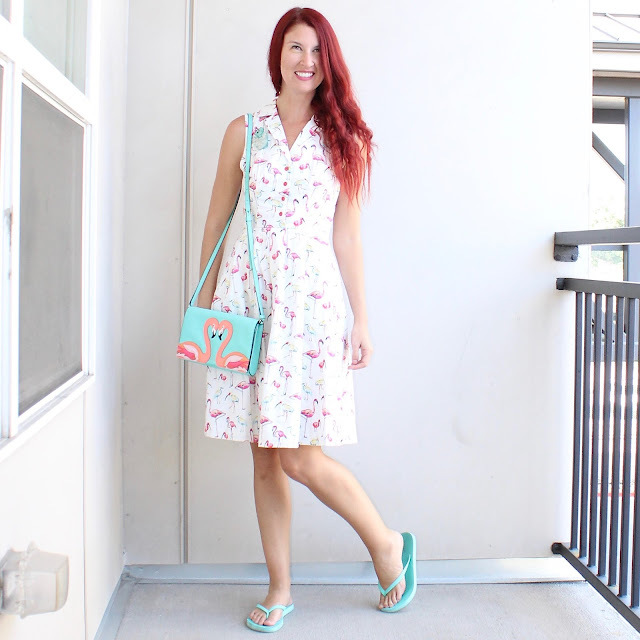 This is one of my favorite ModCloth house brand dresses, so I'm bummed! My other favorite is the Biking Through Brussels dress, which I have a few prints in. I wore the solid green one to host the ModCloth IRL Denver opening party and MY FAVORITE is the yellow houndstooth with a floral print all over it. And by "favorite" I mean "literally one of my favorite dresses...EVER!" They released a new Biking Through Brussels dress a few weeks back but so far it's the only one and while it's lovely I'm not super wild about it. 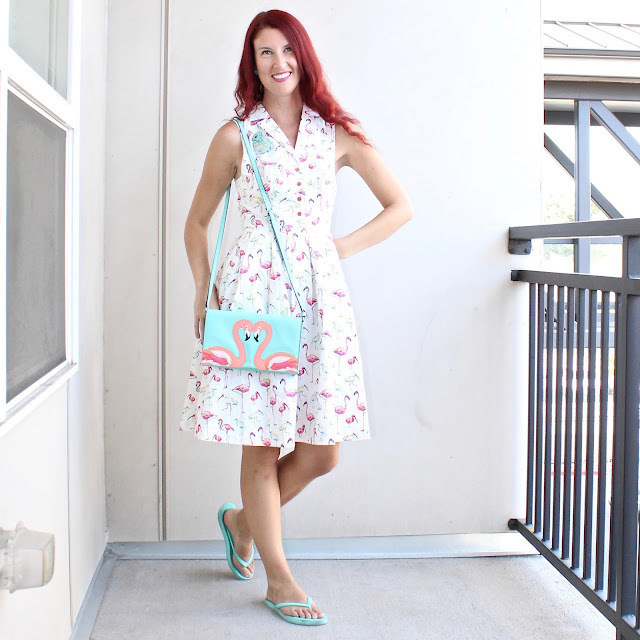 C'mon, ModCloth! More Biking Through Brussels dresses please and please re-release the It's an Inspired Taste dress! Thanks! 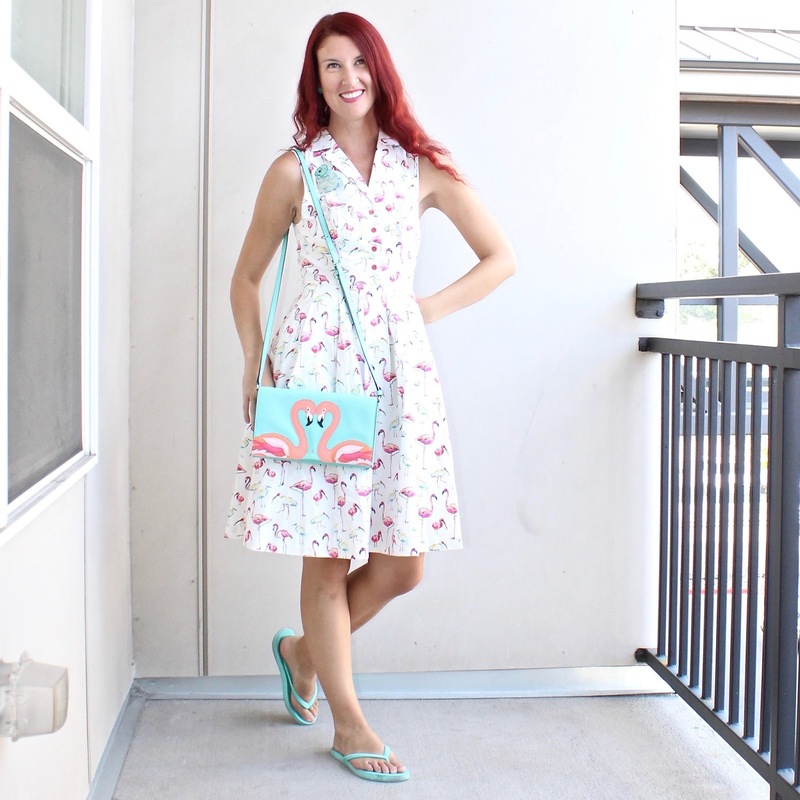 What are YOUR favorite ModCloth dresses? 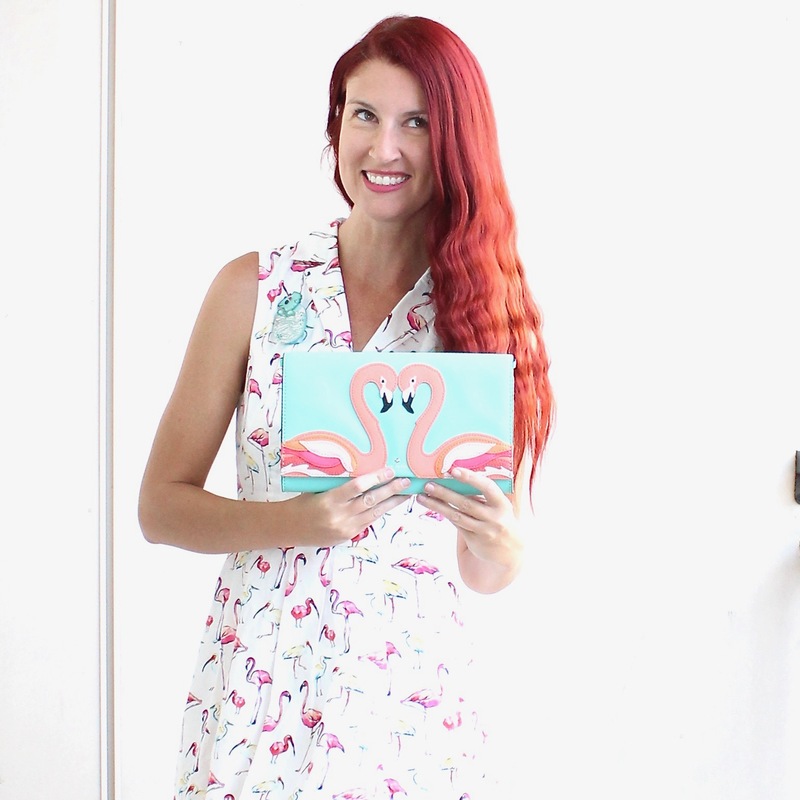 Part of why I love this birds print so much is that it has flamingos on it--which I'm not immune to loving on my clothes--but it also has what appears to be pelicans on the print. It's rare to have a mixed print involving flamingos, so I like the diversity considering pink flamingos against a white backdrop is pretty dime a dozen. I wanted to round out this outfit using teals to make everything pop, so I went for my teal Old Navy flip flops, Erstwilder dinosaur brooch, and my Kate Spade flamingo bag in teal. Instead of mixing prints I matched prints with my purse...which is rare in my world! You guys have fun weekend plans? I'm going to be working on stuff more or less all weekend, but I'm cool with that! See you all on Monday!